Receive 50% revenue share for first 3 months or hybrid €50 + 30% revenue share. For affiliates who want to promote an excellent online casino brand, King Billy Affiliates could be a great affiliate program for them to join. As partners of this program, affiliates will have the chance to promote the King Billy Casino brand. Considered as an up-and-coming brand, this online casino has gotten a lot of positive reviews from independent casino gaming portals. It has a generous welcome offer as well as numerous promotions and casino games that combine to provide players with a rewarding casino gaming experience. In turn, this has resulted in the online casino having high conversion and retention rates. Affiliates get to enjoy generous revenue share commissions if they're able to successfully refer paying players to the online casino. 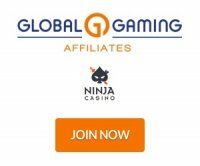 The program offers its affiliates commission shares that start at 25% and can go as high as 45% of the revenue generated by the online casino from transactions made by their (the affiliates') referrals. Fixed 50% Revenue Share Commission for 1st 3 months. The King Billy Affiliates program currently supports payments through Skrill, Neteller, and Wire Transfer. Provided their commissions reach the minimum payout requirement, affiliates can expect to get paid by the program on a monthly basis. For affiliates who choose Skrill, PayPal or EcoPayz for their payment method, their campaigns need to generate at least €50 in a month for the program to process the payout. If they opted for Wire Transfer, affiliates need to make sure that their earnings are equal to or greater than €300. In the event that their commissions are well below the minimum threshold for their payment method, the program will defer the affiliates' payments for the following month or until such time as they're able to meet the €300 requirements. King Billy provides its affiliates with a wealth of promotional and marketing materials to use for their referral campaigns in any language required. After registering with the online casino, affiliates can then proceed to activate their affiliate status through their account dashboards. Once activated, they'll then have access to image, flash, and HTML banners and codes that feature support for Swedish, Russian, and English languages. To keep track of their referrals as well as the commissions they've earned, the program provides affiliates with simple yet powerful statistics and billing tools. Using these, affiliates can get real-time updates as well as generate reports that they can use somewhat improve the way they go about promoting the online casino (and maximizing their profits as well). Managed by Direx N.V., King Billy is a relatively new online casino that seeks to offer players with an unmatched and rewarding casino gaming experience. Players will get to enjoy a regal welcome offer as well as a plethora of promotions that would help give more value for their deposits and wagers. Other than this, the online casino also has an impressive selection of casino games from developers/providers such as Microgaming, NextGen Gaming, Play'n GO, Ainsworth, Betsoft Gaming, Amatic, and many more. The online casino has a license issued by the Government of Curacao.